Are you looking to bring a bit of spark to your event? Consider hiring a Las Vegas-themed photo from VIP Photo Booth Hires for the perfect complement to any joy-filled occasion. Add Some Vegas Magic to Your Party! 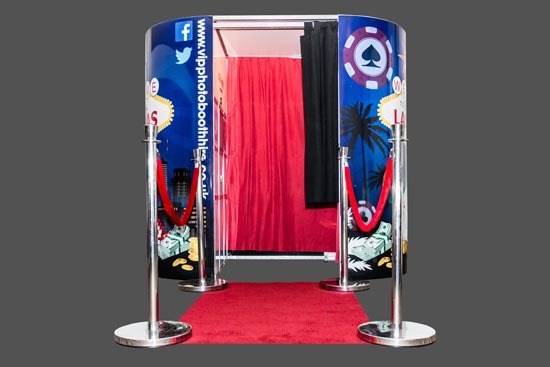 Bring the Las Vegas Strip right to your doorstep with a Las Vegas photo booth! Experience the magic and mystique of the most expansive, glamorous strip of land in the world to any event or occasion. Our photo booths feature green screen technology so you can take photos with backdrops of the most famous destinations in Las Vegas. Choose from a selection of famous locations including Fremont Street, the Paris Hotel and Eiffel Tower, Bellagio Resort, New York-New York Hotel, as well as many other tourist spots and attractions. Dress up in our wide variety of Las Vegas-themed props including casino slots, fancy mustaches, Elvis-style wigs, and roulette wheels and dice. You are certain to locate something which adds some spice to your evening. Friends and family will love saving memories from your event in our eye-catching display filled with Vegas-themed props, backdrops, entryway, and guest book. 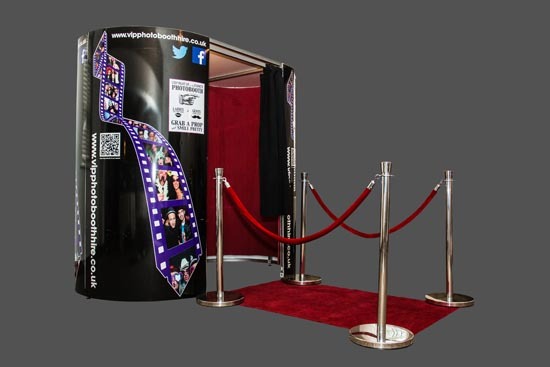 Our Las Vegas photo booth comes equipped with the same great features as our other photo booth packages, including a 20″ touch screen display, wide-angle HD camera, and a green screen with multiple Las Vegas backdrops, perfect for pulling off the full Vegas effect right from your location! 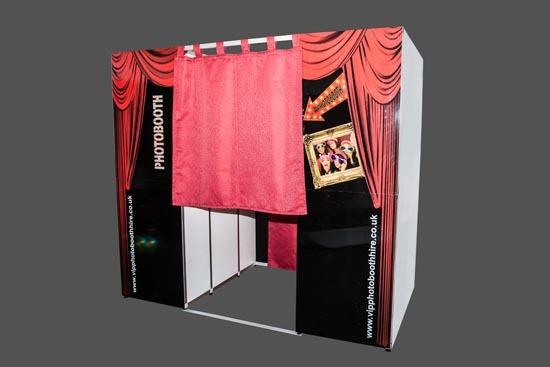 The Las Vegas Photo Booth can be a bright and colorful addition to your occasion and can be a great centerpiece, even for non-Vegas related events. 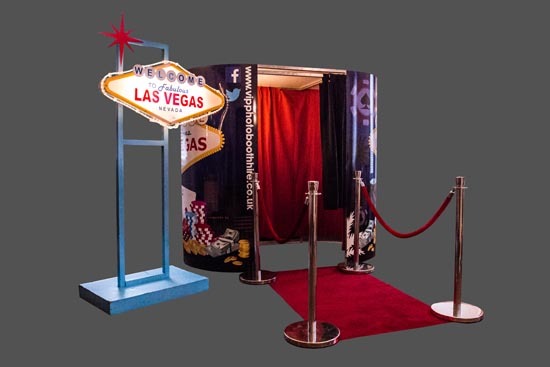 The first thing you will notice upon arrival at your event is our LED illuminated “Welcome to Fabulous Las Vegas Nevada” sign that comes with a red carpet, ropes, and stanchions. In all, we promise your guests will smile and be entertained throughout the evening. 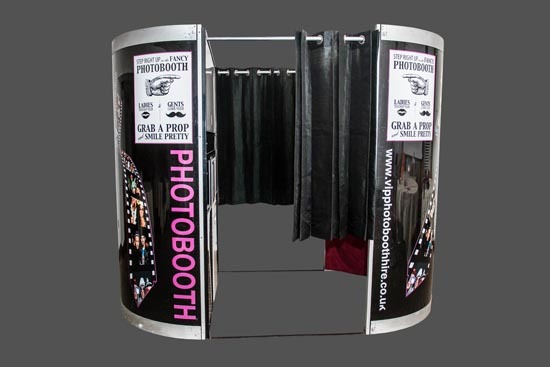 Our booths also feature a qualified photo booth attendant and technician to answer questions from guests and perform emergency maintenance if necessary. 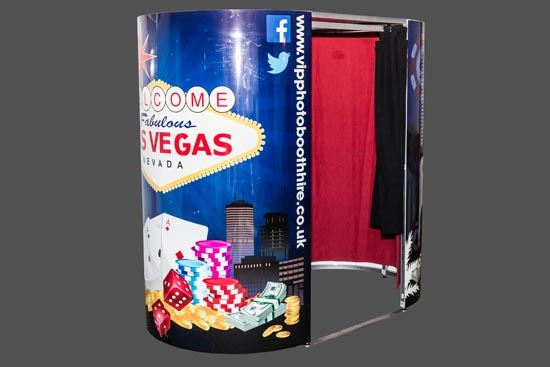 If you are seeking for something a bit different to have some play at an upcoming event, look no further than our Las Vegas-themed Photo Booth. 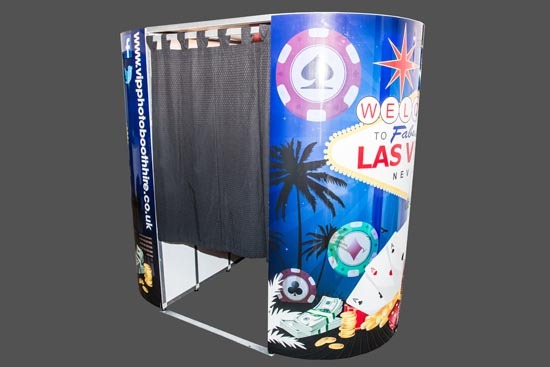 Ask us about adding a casino hire when ordering your booth! 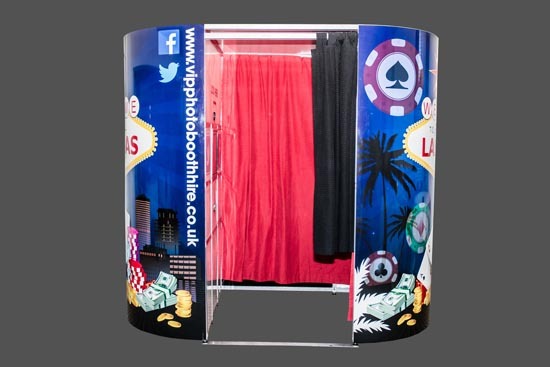 What kind of events would benefit from a Las Vegas Photo Booth? Take advantage of live social media updates on Facebook and Twitter to share the entertainment with long-distance friends, relatives, and acquaintances who weren’t able to attend your event. Our booth uses the most up-to-date hardware and software so guests can quickly and easily navigate through menu settings before taking their images. Any pictures taken during the event will also be uploaded to an online gallery for your future viewing.